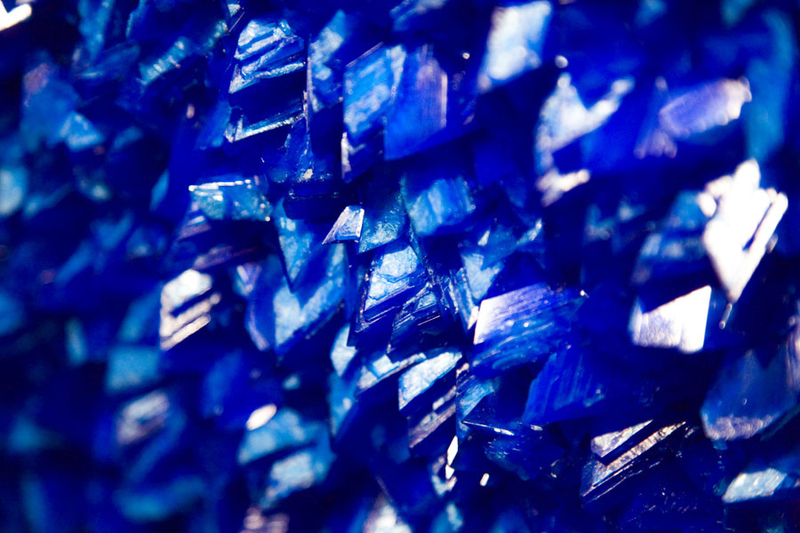 Although I knew the basis of the work – a flat full of copper sulphate crystals – nothing could quite have prepared me for Roger Hiorns’s 2008 installation Seizure. Unlike the installations I’ve written about in the last few posts, this wasn’t remotely disorientating – that wasn’t the idea at all – rather, it was the astonishingly beautiful result of a process that was both hugely ambitious and possibly a little bit crazy. With the support of Artangel – who make it possible for artists to realise unusually difficult projects such as this one, or Michael Landy’s Breakdown – Hiorns sealed one of the flats before introducing copper sulphate solution which was then left to crystallise. The result was a blue wonderland in a run-down low-rise block in inner London.